During the 30-hour Amazon Prime Day sale, one of the most popular items in Spain turned out to be a discounted Moto G5 Plus handset. Even if you missed the deal during the Amazon Prime Day event, you can buy the Moto G5 Plus on sale from Newegg. The 32GB version of the handset comes with 2GB of RAM and is available for a price of $199.99, a savings of $30. This phone features a 5.2-inch display with a 1080 x 1920 resolution. The Qualcomm 625 chipset is under the hood carrying an octa-core 2GHz CPU, and the Adreno 506 GPU. 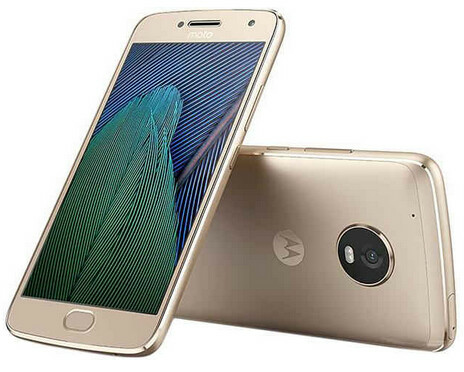 A 12MP camera adorns the back of the Moto G5 Plus, and there is a 5MP front-facing selfie snapper. Keeping the lights on is a 3000mAh battery, and Android 7.0 is pre-installed. The unlocked Moto G5 Plus is compatible with all four major U.S. carriers and Turbo charging gives your battery 6 hours of use after just 15-minutes plugged into the wall. Newegg also has a deal on the 64GB version of the Moto G5 Plus. Priced at $249.99, this deal saves you $50 from the usual $299.99 price. Like the 32GB model, this unit also works with all four major U.S. carriers. The specs (outside of the native storage) is the same for both phones. And with nano-coating from p2i, the Moto G5 Plus is protected from light rain and spills. The deal expires today, so if you're looking for a good price on a mid to high-end handset, click on the sourcelink before it is too late.